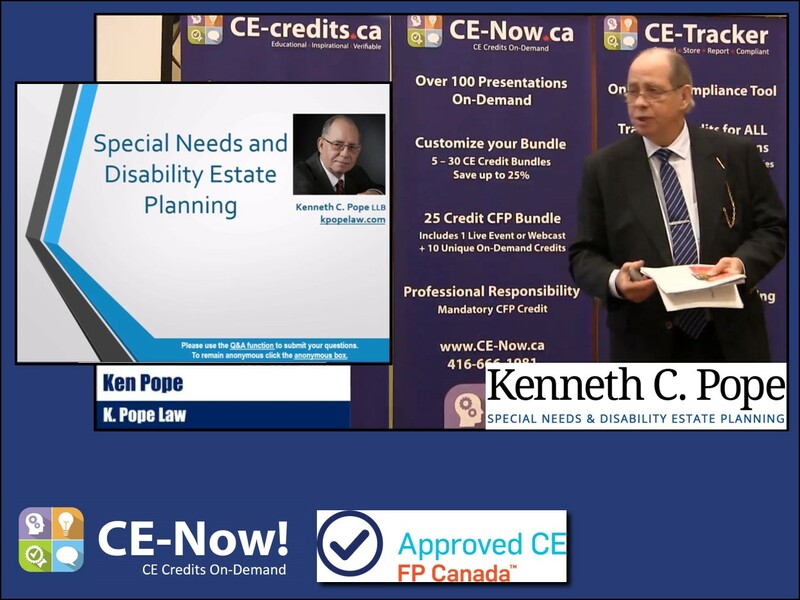 This presentation cements Ken Pope as one of the foremost experts in the field of Estate Planning for people with disabilities in Canada. If any of your clients have a child or grandchild living with a disability, then this presentation is a must to better understand how you can help your clients plan for their children's future. Learn about the government programs, and the planning tools at your disposal from the expert!